Marcus Stokes is a director with a talent for both innovative storytelling and amazing visuals. After graduating with a Master’s Degree in Architectural Design from U.C. Berkeley, Marcus began his career as a computer graphics artist at George Lucas’ Industrial Light and Magic. During his time in visual effects, he created groundbreaking imagery for films including the Star Wars Prequels, Minority Report, I Robot, and The Matrix Reloaded. 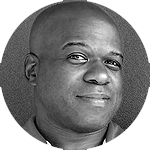 Marcus began his directing career in commercials, creating ads for GMC, Nissan, and Disney. Soon after, he realized his true passion was in narrative filmmaking and began creating his own content. His first film as writer-director, The Catalyst, was acquired by HBO and aired on their networks. Marcus continued developing his skills, working closely with veteran director Tim Story, who executive produced his second short film, The Signal. Marcus is also a graduate of the directing programs at ABC, CBS, Fox, Sony, Ryan Murphy Television and the DGA. He was also chosen as one of the Los Angeles Times’ Diverse 100 for his cinematic and visual effects achievements. Post-Workshop, he has directed Criminal Minds (CBS), Life in Pieces (CBS), and Blindspot (NBC).